As usual, Bitcoin Examiner goes back a few days and helps you remember the news that made the week. From new Bitcoin services to the judicial decision that announced that cryptocurrency can be considered “currency or a form of money”, we had some busy days. You can now support the well-known Khan Academy‘s work with your Bitcoins, through Coinbase. As most of you know, Khan Academy is a non-profit organization that provides free education for people around the planet. 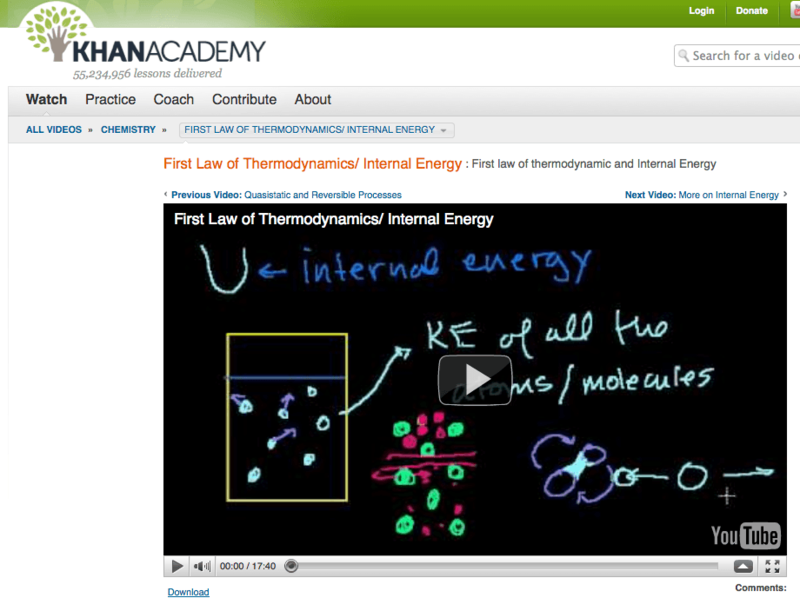 Through quality online educational materials, like instructional videos or practice exercises, the academy supplies personalized help for users of all ages and origins. From the beginning, they had lessons about math, science or history. But a while ago they added Bitcoin to their study plans, so nothing more logical than start accepting cryptocurrency donations as well. CoinForest wants to be the online store that gets the best deals for consumers and businesses in the cryptocurrency ecosystem. Kind of like Groupon, but with Bitcoins, like On Bitcoin describes it. Besides Bitcoin related goods and services, CoinForest will also be selling 3D printing services, online education services, all you need to develop software and let’s not forget about services for startups and online businesses. There’s a new exchange that can convert Bitcoin, Litecoin and Feathercoin. The name of this service, which is currently running its beta testing phase, is Crypto Street. This Delaware-based altcurrency exchange is the first of its kind to be born in the United States and is focusing all its attention on these first three cryptocurrencies that gather new users every day. Although this doesn’t mean Crypto Street is the only altcurrency exchange, since companies like the Bulgarian BTC-e already existed before, the new platform is relying on its origins to succeed: “people like and trust an American-based platform and that’s presently what we offer for an altcoin exchange”, says Shamoon Siddiqui, the founder and CEO of the company. 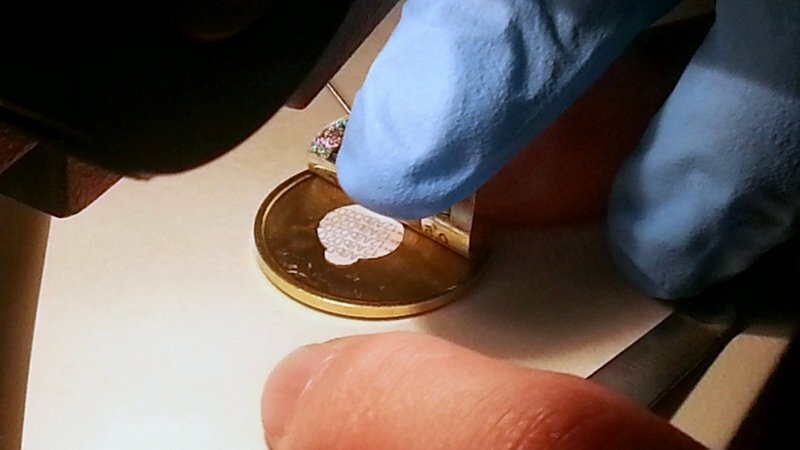 The Defcon researchers Stits and Datagram only needed 10 minutes to crack the system of a Casascius Bitcoin for the first time. However, at the hacker conference, the experts said that with a little practice they could recover the private key of a Casascius unit in just one or two minutes. For the people that still don’t know what the Casascius are, these physical Bitcoins have a little card embedded inside, which contains a digital currency wallet linked to an account with the same value as the one engraved on the coin. The devices are protected by a layer of holograms and an 8-digit code and it was supposed to be very difficult to tamper with one of these, but this year’s Defcon conference showed the contrary. Check the method used by the researchers here. Mt. Gox announced this week it was now supported by Akamai, a leading cloud platform that safely “enables any experience on any device” and will soon put its new trading engine, Midas, in action. The new features were revealed in an extensive update published online by the exchange. According to the company, “there are many things happening right now at Mt. 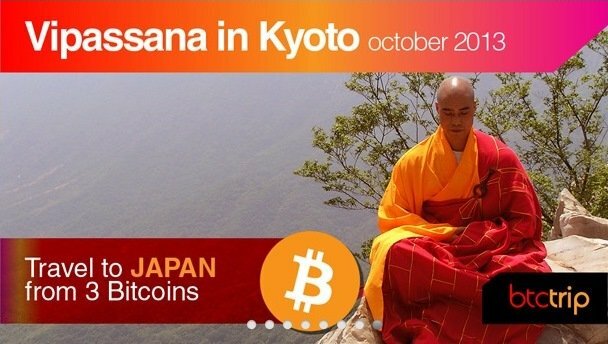 Gox (…) that are important to our customers worldwide and to the Bitcoin community”. The platform addressed three main issues in this update: “site speed and security, upcoming currency integrations and the administrative issues with depositing and withdrawing currency”. Find out more about the changes at Mt. Gox here. The federal approach to regulation of new money transfer technologies. This is the main theme of the first Virtual Currencies Compliance Conference (VC3) that is happening on August 14th, at the New York City Bar Association. The event, hosted by the National Money Transmitters Association, will have a special guest: James H. Freis, the former director of the Financial Crimes Enforcement Network, also known as FinCEN. VC3 will be particularly helpful for the industry members who need to be enlightened about the new rules: virtual currency entrepreneurs now have to implement anti-money laundering programs, get state-licensed and register with FinCEN. Otherwise, they will be facing criminal charges. According to Coindesk, people living in Argentina are paying more for their Bitcoins than the users living in the United States. The reason? An annual inflation rate of around 25 percent is making them turn their backs on their national currency. Official numbers place the annual rate of inflation in the country at around 10%, but private economists estimate it to be more than the double. BtcTrip, the online platform that allows you to buy plane tickets with your Bitcoins, is preparing to launch three new services. Bitcoin Examiner talked with the CEO Martin Fernandez and he told us that the startup “is moving to the next level” by developing the programs “Rent a Car & Hotel”, “BtcTrip Miles and Points” and “BtcTrip Surfing”. After its launching in July, “BtcTrip has been received exceptionally well by the community”. After the first two weeks in business, the platform registered a boom in the business. “We started with a movement that will increase, day by day, by the enthusiastic comments and support from the Bitcoin community”, he adds. Sure, it helps that “the major players like BitInstant or the Bitcoin Foundation” are helping to promote the company by getting tickets with BtcTrip, mainly thanks to their new business travel account. The Bitcoin Magazine reported this week that CoinTerra selected Open-Silicon as their ASIC design and development partner. As a semiconductor engineering company, CoinTerra seeks Bitcoin mining solutions using ASICs, in order to produce high quality chips for customized Bitcoin mining solutions. After recently announcing instant Bitcoin transfers for verified users, Coinbase launched a new feature: off blockchain micro-transactions between the platform accounts. And the best? These operations charge zero fees. The first “user” to try the new feature was Coinbase’s CEO. Brian Armstrong sent himself 1 Satoshi (0.00000001 Bitcoin). According to a statement posted on the platform’s blog this Monday (5), the operation was super fast: it arrived instantly, it was confirmed instantly and, like you already know, it costed zero in fees. 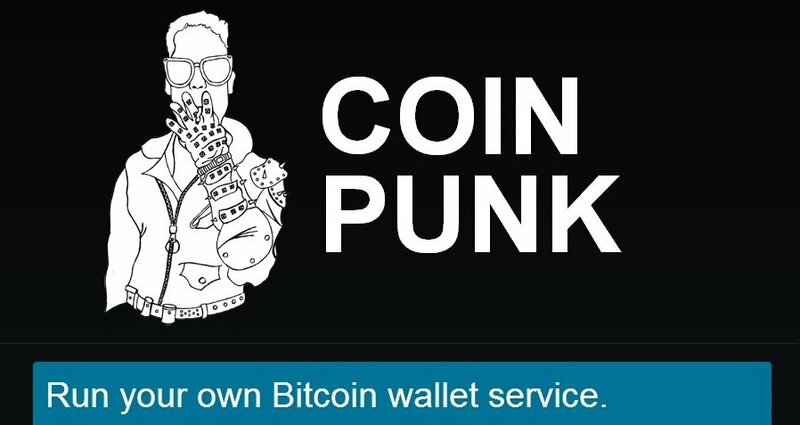 Coinpunk, the open source and self-hosted ‘do it yourself’ Bitcoin wallet that you can run on your own server recently won a grant conceded by the Bitcoin Foundation – the second of this year – and will get a major full-featured new version. Although Coinpunk is still under development, the first users and some developers, hardware wallet manufacturers and other organizations can already enjoy some of the features of its current version. The creator of the service, the veteran startup founder Kyle Drake, cannot give any deadlines for the project, but hopes he can release the new version by the end of late summer. There’s a new Bitcoin service launching this month: BitWall will allow its users to sell low-value digital content using everyone’s favourite cryptocurrency. The San Francisco-based company plans to aggregate micro-payments in order to reduce the weight of the fees charged to the buyers. Very small transactions (usually considered micro when the values are around $1) have been a knotty feature of the online e-commerce field, especially when we’re talking about digital content monetization, like apps or mobile games. Bitcoin already charges a smaller fee than credit cards – around 0.0005 BTC, which is equivalent to about five cents in US dollars at the current exchange rate -, but BitWall wants to make this deal even more beneficial to the users by aggregating several micro Bitcoin payments. The creators of a new robotic briefcase that can convert money into Bitcoin presented the device at the Defcon hacker conference, in Las Vegas. Coindesk reported that the Raspberry Pi-powered device allowed the users to put their loose change into the coin slot and in return they received a QR code printed on a receipt paper that they could use to redeem their Bitcoins. According to one of the developers, the briefcase was made to increase awareness of Bitcoin. The briefcase cost around $250 to build and, besides the Raspberry Pi computer, has a mobile 4G modem. If anything good has come out of the Ponzi scheme set up by Trendon Shavers – more known in the cryptocurrency world as ‘pirateat40? – is the decision of a Texas judge, who has recently ruled that “Bitcoin is a currency or form of money”, meaning that the Securities and Exchange Commission (SEC) can go ahead and sue the suspect. You can check the document signed by the North-American magistrate here. In this memorandum, judge Amos L. Mazzant makes an analysis of the case regarding the Bitcoin Savings and Trust (BTCST), a “business” founded and operated by Shavers. Bitcoin Examiner spoke with Marco Santori, chairman of the Regulatory Affairs Committee at theBitcoin Foundation, about this issue. Among other things, the attorney said that judge Mazzant’s opinion might open the way for a change in the world of cryptocurrency. 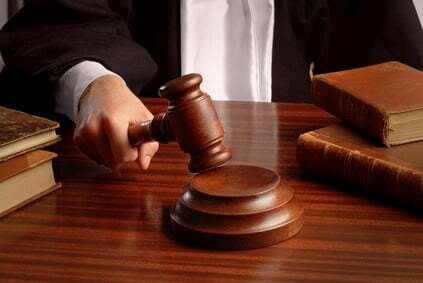 “Practically, though, lawyers, judges, policy makers and regulators can be expected to use it as a very broad precedent. For example, a financial regulator may use it to support their position that Bitcoin exchanging should require a money transmission license. A lawyer might use it in to convince a judge in a different state that his client’s stolen Bitcoins had real-world value, which would support a claim for damages. The implications are far-reaching”, he explained.